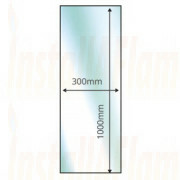 Glass Hearths, Clear or smoked finishes 12mm thick Glass Hearth, with C polished edge. Use the glass floor hearths to protect your floor underneath your stove. 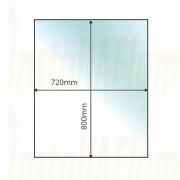 Not only will they bring safety to your floor, they will also add style and variety. 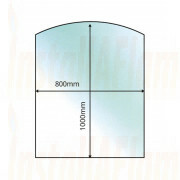 Choose from different shaped glass hearths. 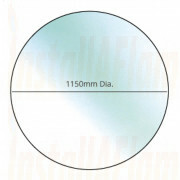 UK Building Regulations permit the use of Glass floor hearths to protect the floor underneath the Stove and must be at least 12mm thick to comply with safety requirements in place for glass hearths with solid fuel stoves. 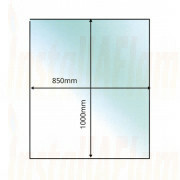 These glass floor hearths are constructed in tempered clear and smoked glass, with a polished edge they also bring safety to your floor, they will also add style and variety. 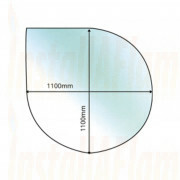 Choose from different shaped glass hearths. 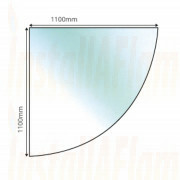 Our high quality glass hearths are a contemporary alternative to complement any multi fuel or wood burning stove. 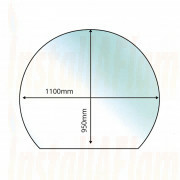 All our glass hearths are CE marked. 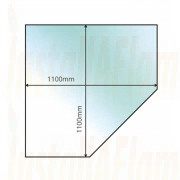 For HETAS approval and to meet UK Building Regulations Document J they must be at least 12mm thick.